Ok, maybe Instagram didn't "force" me to go eat a bunch of cake but after seeing some gorgeous shots of their Olive Oil Bundt and Winter Mint Cake in Baked baker Matt Lewis' twitter feed what's a girl to do? Eat cake and lots of it! 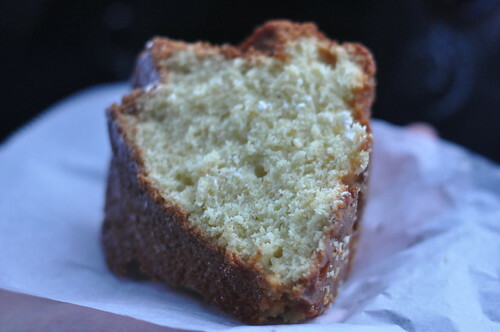 I first had a little bite of Blondie's piece of olive oil bundt over the summer when we were at the ballfields researching stories for our upcoming street food book. Gah. This cake is too good to be true. Impossibly moist and lightly citrusy, it's bundt cake perfection. 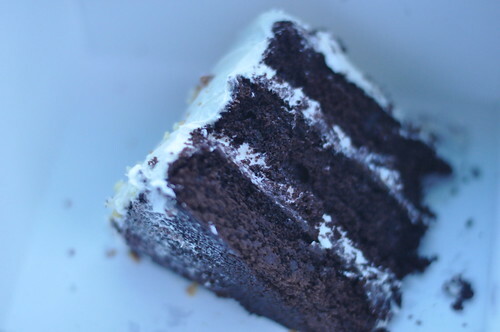 I couldn't leave with just one cake, so I nabbed a slice of Wintermint, which I'd also spotted on their twitter feed (note to self: think before you click on any instagram shots from bakeries...it's a slippery slope). If you love chocolate and mint this is the cake for you. In between the fluffy mint buttercream on the inner layers there's peppermint chocolate ganache (yes, ganache!). Oh, glory! Like Blondie, I'm thankful that Baked is just enough out of my way to make it a special occasion excursion (that demands two pieces of cake).